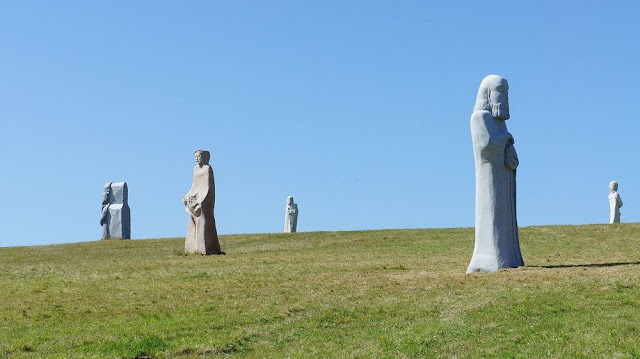 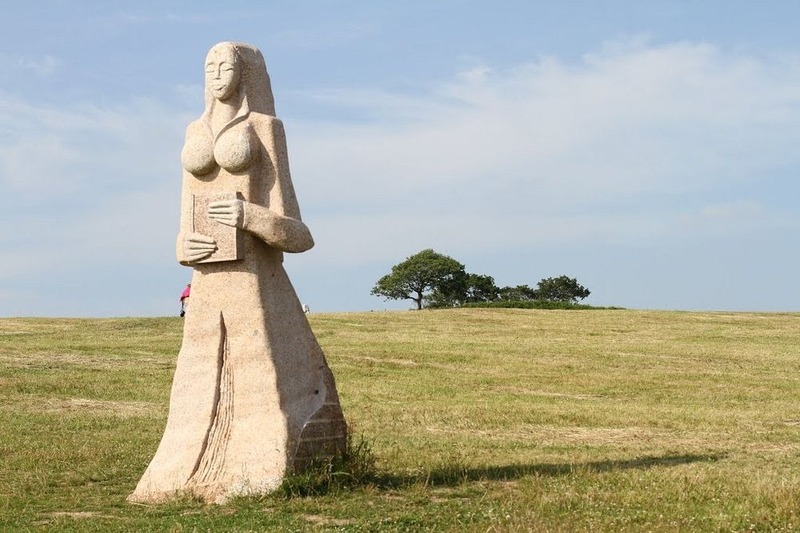 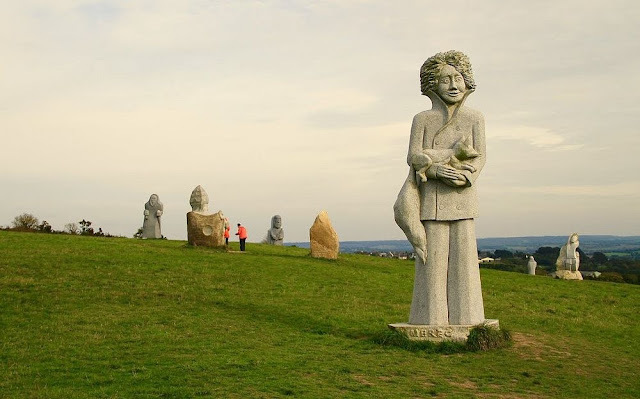 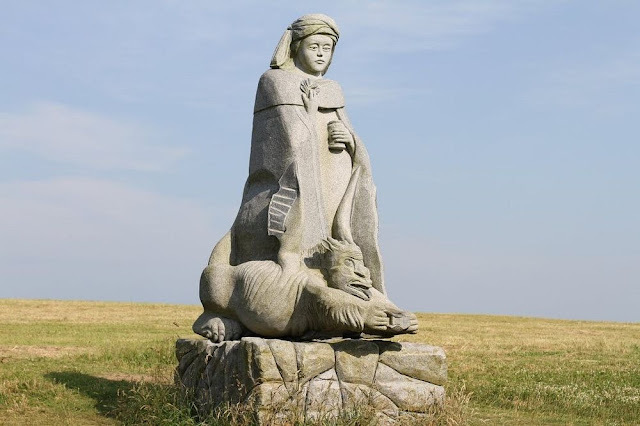 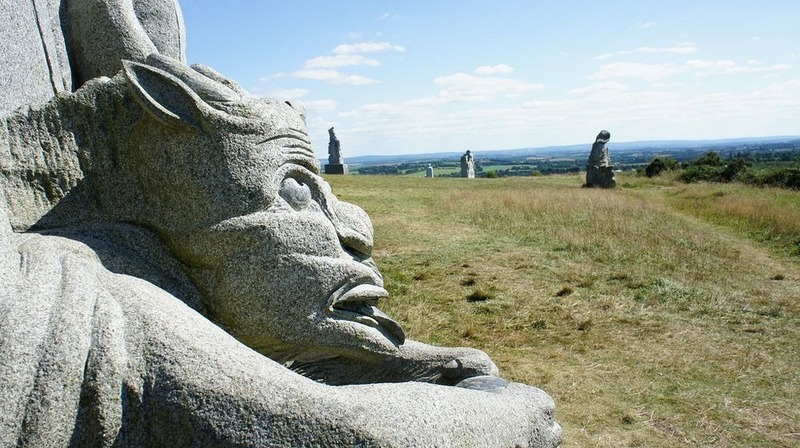 High on a sloping hillside in the Commune of Carnoet, in Brittany in northwestern France, a large scale project is underway, one that hopes to cover the entire hillside with a thousand granite statues representing the Saints of Brittany. 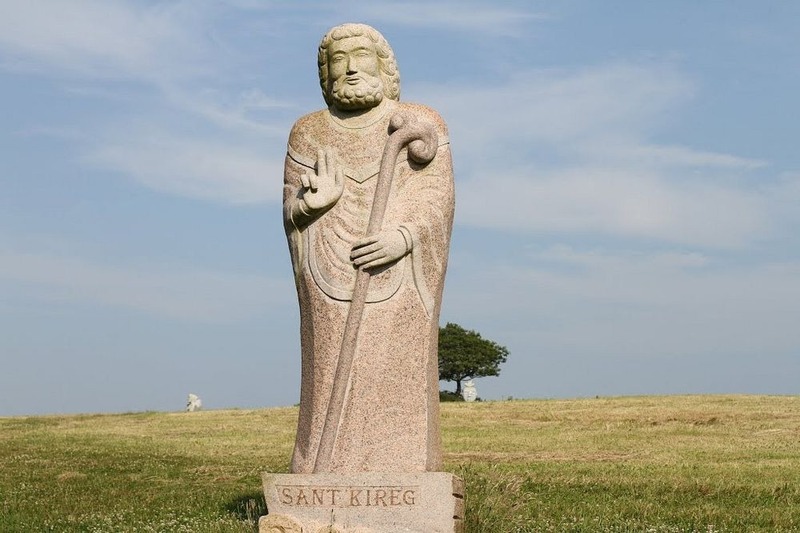 More than 7,000 Saints are venerated all over Brittany, although only a few are officially recognized by the Roman Catholic Church. Some of them have left their marks on the region while others stayed for less than a month as they passed through Brittany. 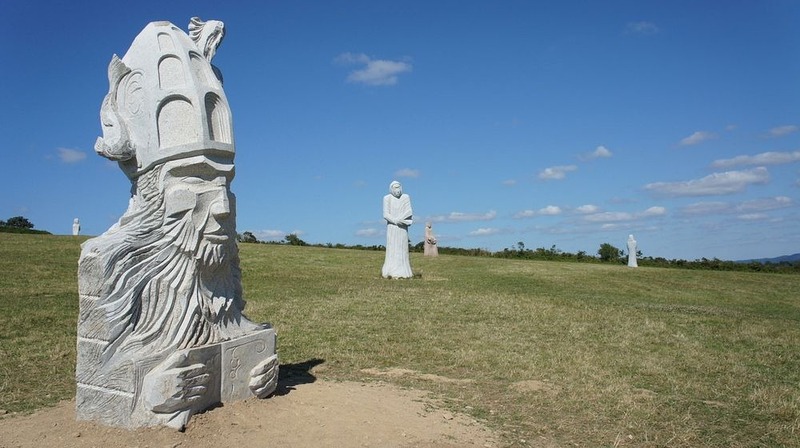 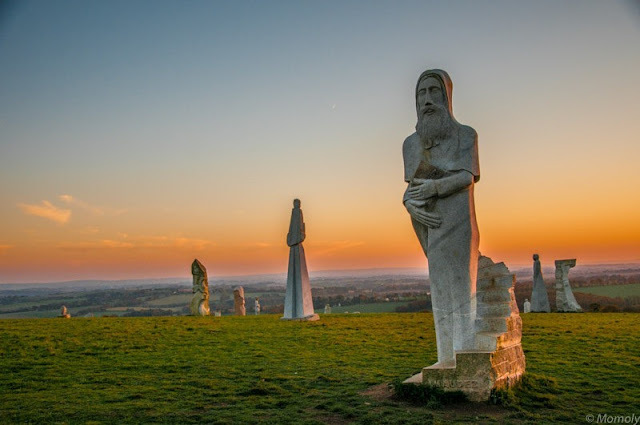 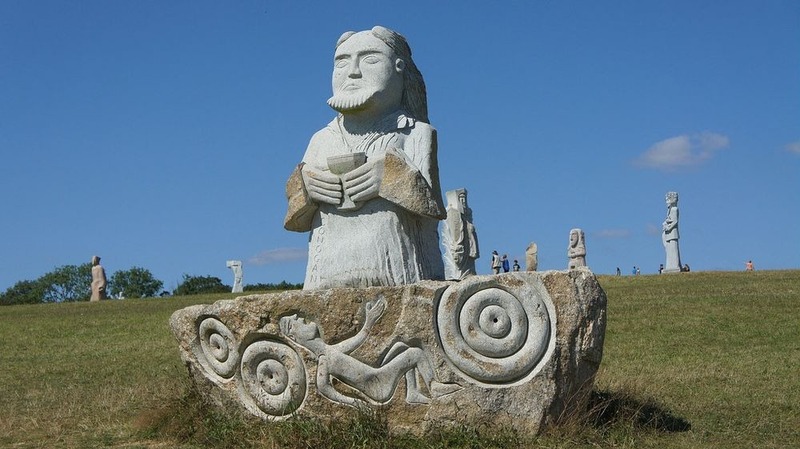 Through the effigies of these Saints, the project aims to celebrate and raise awareness of Brittany’s inter-celtic history, as well as reflect on the importance of granite in the Bretton landscape and local economy. 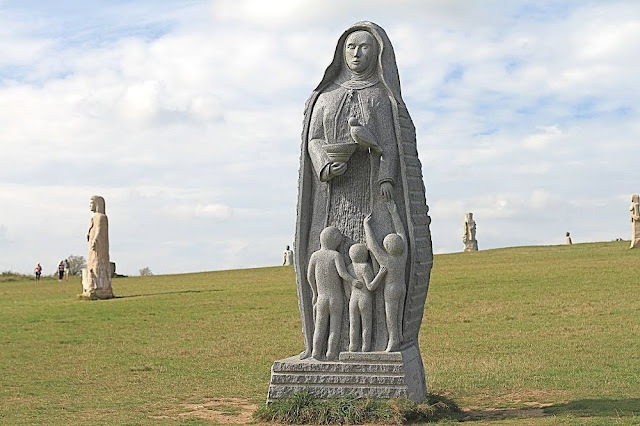 Started in 2008, the project has so far seen over sixty 3-meter-tall statues erected on the site donated by the municipality, which has acquired the misleading name “the Valley of the Saints”, despite the site being a hill.